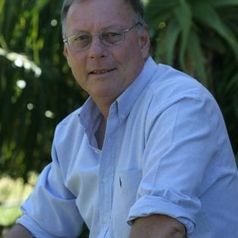 Prof Braack studied at the University of KwaZulu-Natal, obtaining a BSc (1975), BSc (Hons)(1978) and PhD (1985), specializing in medical/veterinary entomology. He joined the Scientific Services unit of the Kruger National Park in 1983 as Wildlife Parasitologist, with responsibility for invertebrate research and also malaria control. In 1995 he was promoted to head of Scientific Services, then General Manager: Conservation Services (1998) and in 1999 appointed as International Coordinator for the Great Limpopo Transfrontier Park. In 2004 he joined the Washington-based international NGO Conservation International as Director: Southern Africa Wilderness Areas. He returned to academia in April 2012 by joining the UP Zoonoses Research Unit where he is currently based. During his earlier research career Prof Braack authored or co-authored 67 peer-reviewed research papers, and is senior author of 7 books. He has travelled extensively, with a particular interest in forests of South-east Asia, and participated in several disease outbreak investigations in Central Africa as invited specialist. Arboviral vector biology; malaria; general medical & veterinary entomology; epidemiology of vector-borne diseases; forensic entomology.